Edit 2018-09-19T19:38-07:00: Updated support comments to more accurately reflect their response. Note: These issues were responsible disclosed and have since been fixed. This is my understanding of the issues to the best of my knowledge. 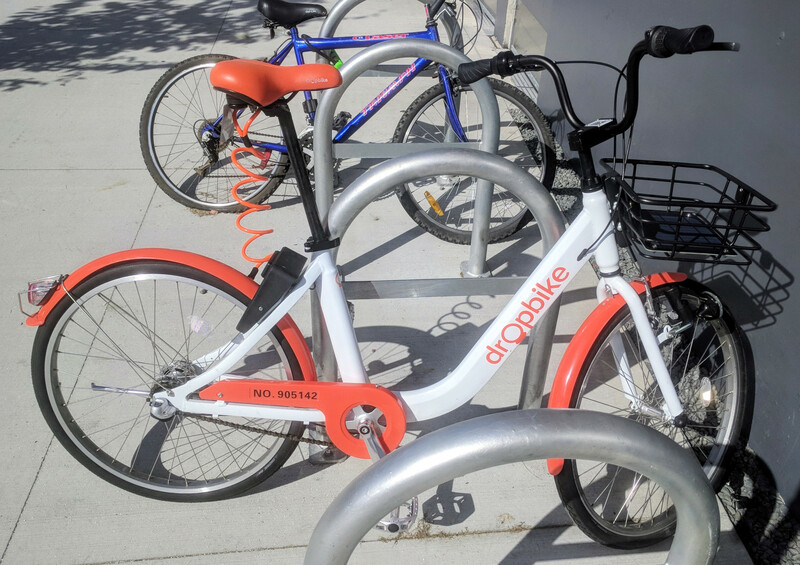 To give you a little bit of background, Dropbike is a new bike sharing service that just launched at the University of British Columbia as one of their first locations. They’re only about a year old and based out of Toronto. The service is pretty simple, they have a bunch of bikes with a cell connection and bluetooth low energy locks spread out all over campus. 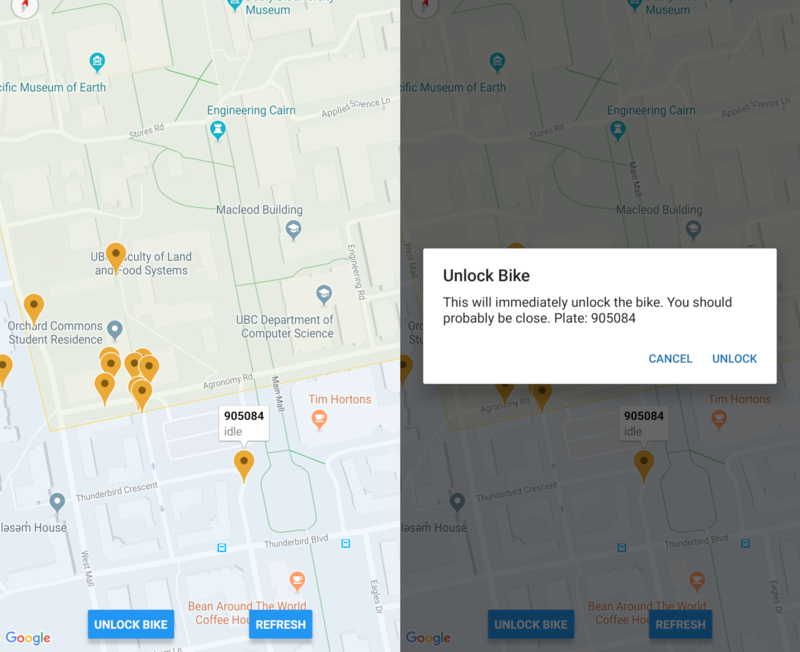 You can use their app to find nearby bikes and unlock them. Overall, it seems like a neat convenient service and I was super excited to have them on campus. A Dropbike in its natural habitat. Unfortunately, the app is pretty terrible. It’s got a number of issues that don’t seem like they should take very long to fix, but they’re still there which makes it frustrating to use. The finding and unlocking the bike part works for the most part, but once you unlock a bike the app goes completely unresponsive, eats a huge amount of battery and constantly polls and sends your location to the server. I’d like to give them the benefit of the doubt as a small young company, but it’s hard to say they’re unaware of the issues when their play store rating is a 1.8. As a software engineer, my first solution (though often misguided) is to write my own app. Enter opendropbike–a bare bones reimplementation of the official app in React Native with Expo. The first step is reverse engineering their backend API. I download the APK for the android app and decompress it using apktool. Looking at the main file it’s pretty easy to see that it’s using React Native which means we can just format the index.android.bundle file using a linter. Turns out prettier is the only formatter that can handle 3MB files. All the eslint derivatives just run out of memory. Digging through the formatted code is pretty easy. Most of the variable names have been obsfucated, but enough remains it’s not too hard to figure out. Turns out the backend is just a simple Express app hosted on Heroku with a JSON over HTTP api. // The main network call. // Example of one of the API calls. You can see a short write up of the API methods and the formatted source code here. A reimplemented API library can be found here. Time to see if this app actually works! I walked outside to the bike I had stashed outside my door, pulled out my app and scanned the QR code on the bike to unlock. Success! The lock popped open! I look down at my phone and see a big red error. Well, that’s kind of weird. I figured I had a bug somewhere in my app so I pulled up the logs. As far as I can tell, I’m making the exact same request as how the original app does. There seems to be a bug on the server side. I pull up my list of current trips only to find out that there’s no trip logged nor have I been billed for the trip. You can unlock every single Dropbike remotely for free. I figure the only responsible thing to do is to reach out to Dropbike to see if there’s a bug bounty program and report the issue. I later figure out that I wasn’t properly making the proper call sequence of: /v3/preorder, /v3/ble_unlock, /v3/start_trip and instead just directly starting the trip which causes this bug. It’s pretty interesting that there’s a large amount of fancy Bluetooth Low Energy encrypted communications directly between your phone and the bike to unlock it, but it turns out it’s completely unnecessary since the backend API can just unlock it remotely. I’m about to reach out to support via the built in app support chat when I remember seeing something in the code about their support system. Dropbike uses Intercom to embed support conversations into the app. I decide to poke around the source code a bit more. Note: these API keys are no longer active. That’s just part of their in app support right? Twenty thousand users seems like a lot. This is quite possibly every single one of their users contact details. I decide to try and see if I can find myself in it. Yep. There I am. 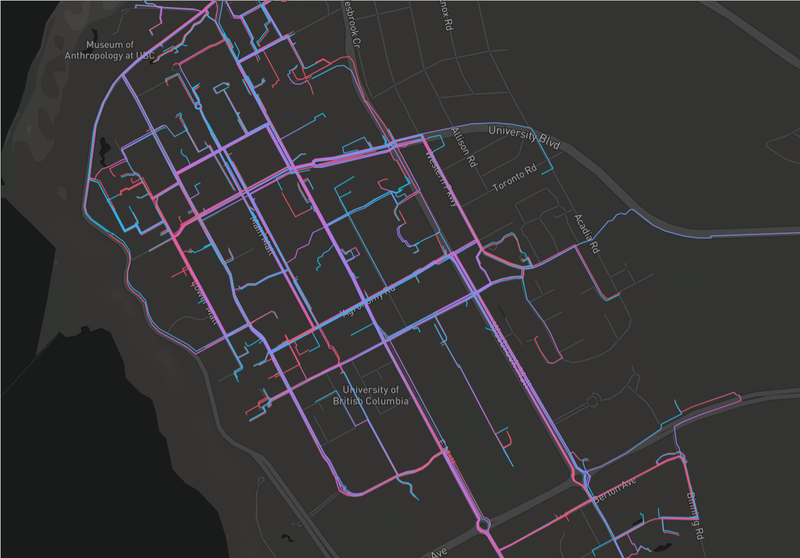 Every single name, email, phone, location and IP addresses for Dropbike’s users is public. Just for good measure I check the account that this API key is under. And… we get the CEO’s personal gmail. Dropbike has built the company side support directly into the app and embedded the production API keys in along with it. It appears you can access all of the support messages as well, which might have credit card details or other personal information. However, I didn’t test this method to protect the privacy of their users. To prevent further damage, I reached out to them the same day I found the issues. Initial message to their chat support asking about a bug bounty program and asking to put me in touch with someone from engineering. Sent a follow up message. Hey Tristan, thanks for reaching out to us about this. We really appreciate you telling us about this. We don’t have a bug bounty scheme, but I’ve forwarded your feedback to our software team. Thanks again, Tristan. Form had incorrect permissions set on it so I couldn’t access it. Notified them about the permission issue. If you try to fill out the form now it should work Tristan. If we feel that this is something we should pursue we will follow up with you if need be. Thanks again, Tristan. I send the basic details of the impact along via the bug reporting form and CC the CEO. I was worried that this might just disappear into a black hole and I wasn’t happy that my personal details were leaked. I also notify them via the email chain that I would be disclosing this in 30 days or whenever the issue was fixed whichever is sooner. Support forwards a request from the tech team to supply full details via the Google form as they believed it was a secure channel. I submit the full details via the bug reporting form. The API key was revoked shortly after. I checked it several hours later and it no longer worked. I went out to check if the bike unlocking still worked, seems to be fixed. It threw some weird errors and hid the bikes from the map, but it didn’t unlock them anymore. I’m not an expert in security and I wasn’t even looking for security issues when I found these. If I was able to do this, pretty sure any malicious attacker could have as well with much more disastrous results. Hire a security professional to do a more formal review of Dropbike’s systems to check for any other issues. Create a formal Bug Bounty program to encourage security researchers to find any new issues in the future. 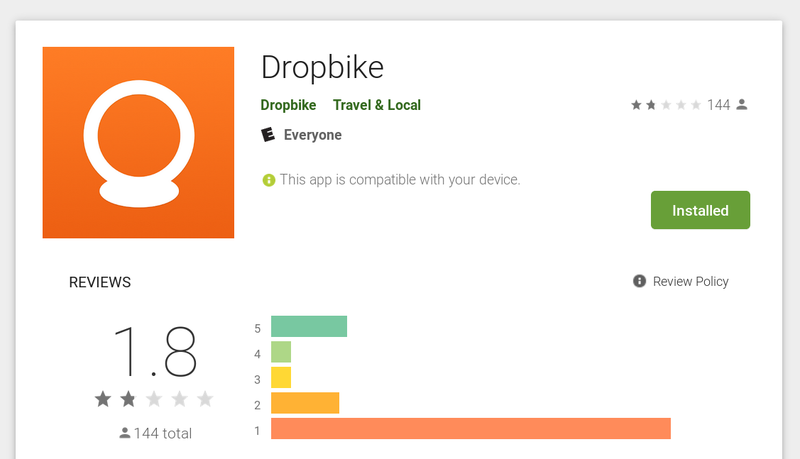 Add the bug reporting form into the app since there are tons of bugs with the app and Dropbike doesn’t appear to pay any attention to the Google Play Store reviews. I’m not an expert on Canadian law so if anyone else has some thoughts on it I’d appreciate it and can add it here. Canada does have laws requiring notifying users about data breaches such as PIPEDA. I’m not sure if an issue like this would require notifying users under it since it’s unclear whether anyone else actually managed to get a copy of the data. The new laws only require notification if “real risk of significant harm” is presented to the users. I’m not sure if just contact information falls under that, nor what was contained in the support conversations. If there is a real risk of significant harm, the government and all affected users must be notified. Unfortunately, most of these thoughts are only academic at the current time since the law doesn’t come into effect until November 1st, 2018.